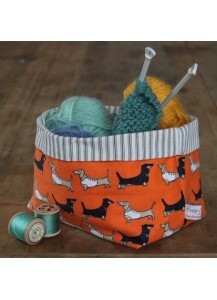 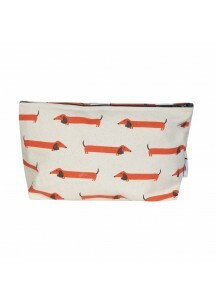 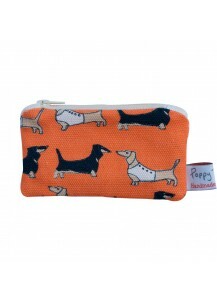 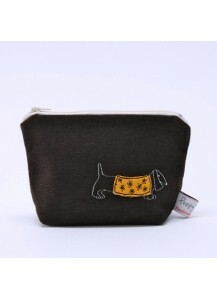 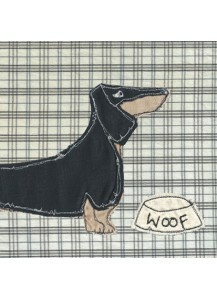 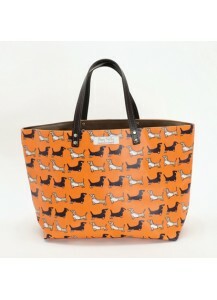 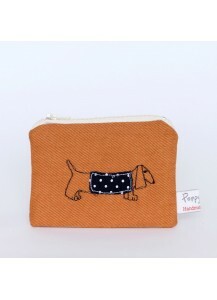 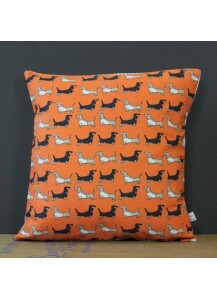 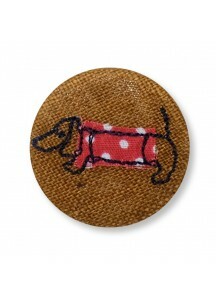 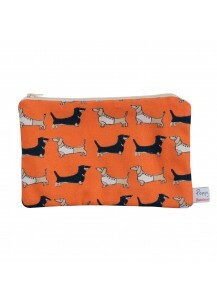 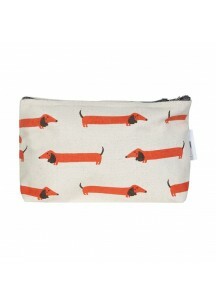 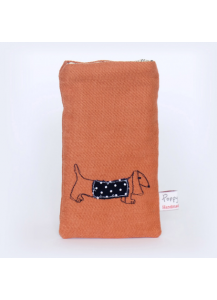 This Darling Dachshund lunch bag has sausage dogs on the outside and plenty of room for sausage rolls on the inside! 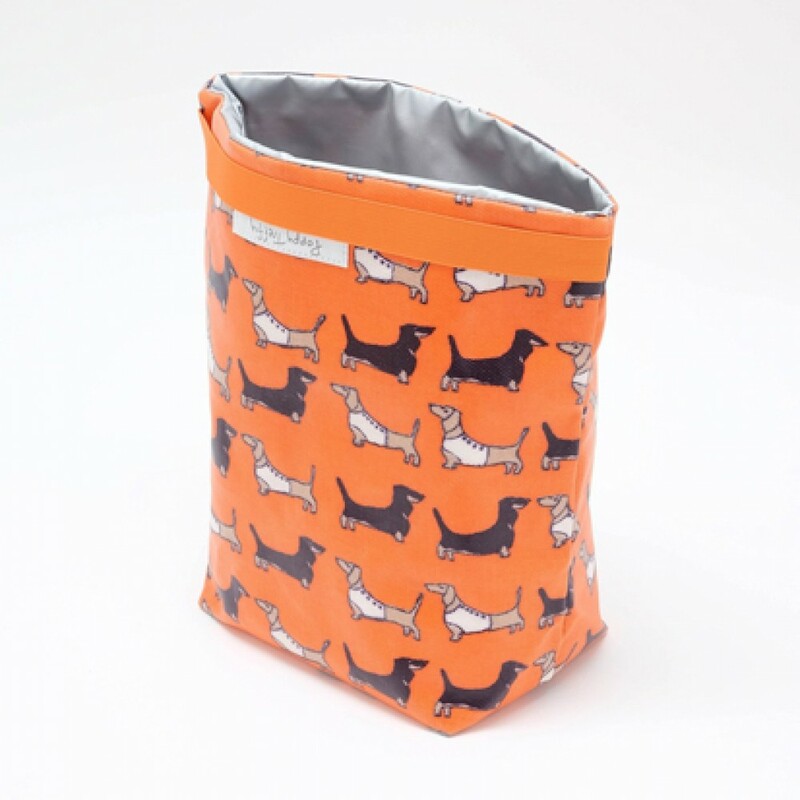 Avoid single use plastics and carry distinctive designs to picnics, staff rooms and school canteens with this awesome lunch bag. 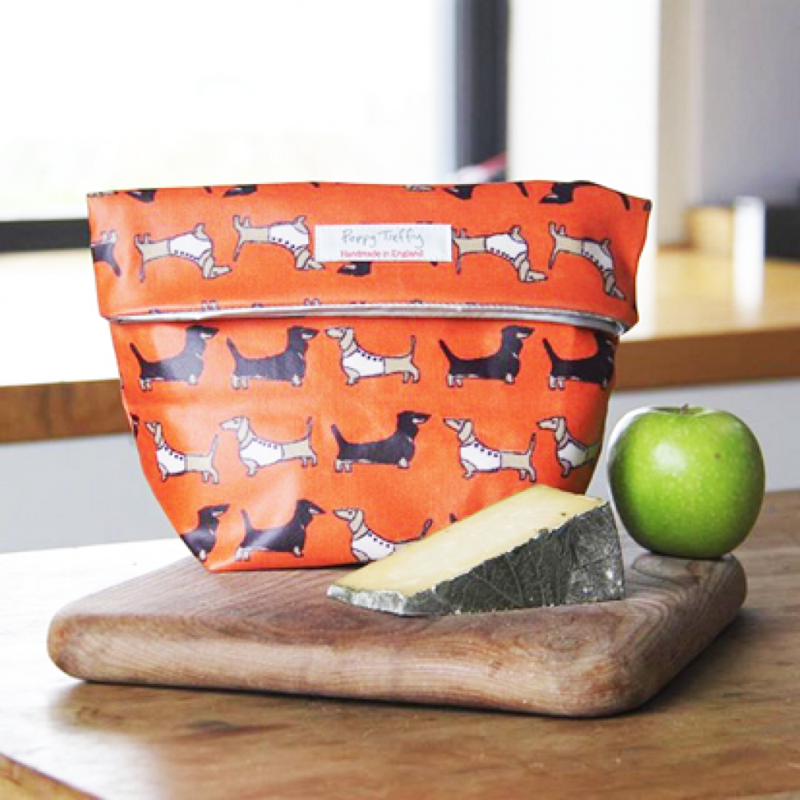 Great size for packing your sandwiches, fruit, treats and ice pack – or whatever delights you fancy and can easily be folded up once the contents have been enjoyed. 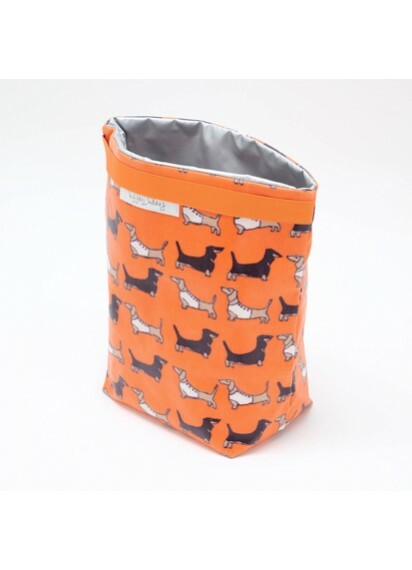 Each product features Poppy Treffery's original oilcloth design on the outside with a wipe clean splashproof silver lining.